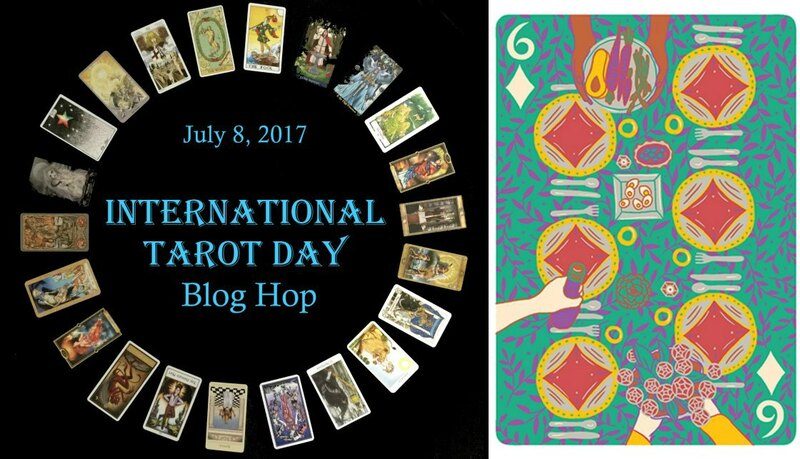 Welcome to the International Tarot Day 2017 blog hop! Why today? 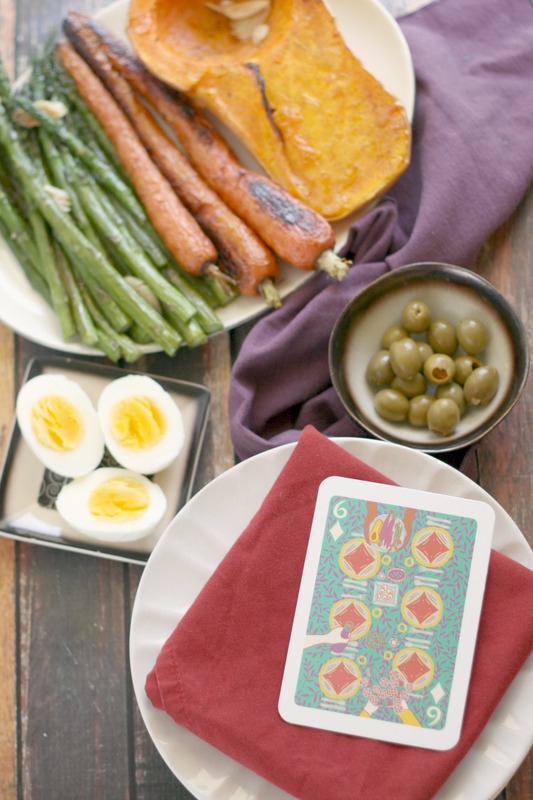 Today is July 8th, or 7/8—and a typical tarot deck contains 78 cards (22 major arcana and 56 minor arcana). Each blogger participating will be featuring a single card per post, and you can find links to the previous and next card within each post, allowing you to make your way easily from start to finish of a traditional deck, if you so wish. The card I'm feauturing today is the 6 of Pentacles! So, the 6 of Pentacles, but specifically the corresponding card in my current favorite deck, The Illuminated Tarot, which is the 6 of Diamonds. I adore the illustrations throughout this deck, which actually only has 53 cards since it uses a playing card "base" (including the joker as the fool). But my favorite part is that is still covers all 78 cards by merging the major and minor arcanas to form some, what I like to call, dual cards. This is an extra large deck with a cardboard-style card stock, and I'm hoping that one day the publisher will put out a bridge or poker-sized deck, as well. 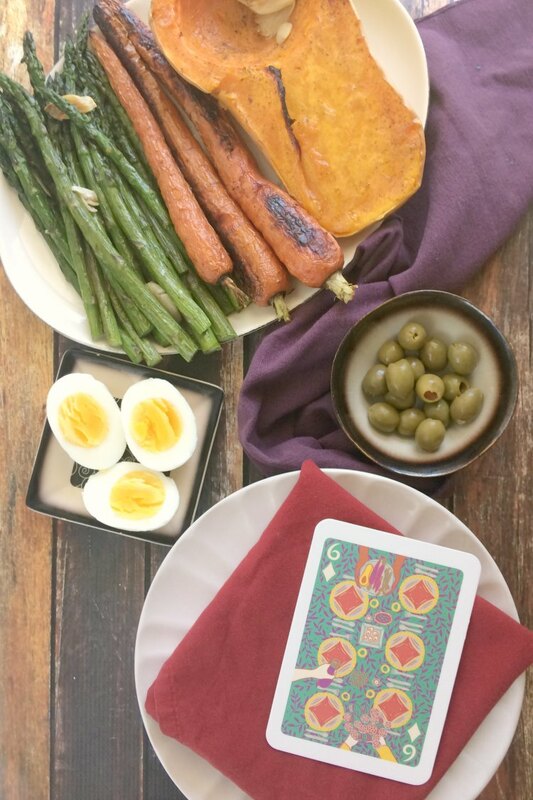 I love this deck so much that I want to share it with you, so be sure to read this post all the way through and scroll to the bottom to enter for your chance to win your very own deck, because I'm giving a copy away! Back to the 6 of Pentacles. In a RWS-based deck, this card imagery featuring a merchant doling out gifts, is not one of my favorites. While the basic representation of giving is present, I prefer decks with a gentler, less condescending tone...ones that actually feel open and generous...like the one from The Illuminated Tarot. What better way is there to convey generosity, charity, harmony, and cooperation than through food? Offerings coming from different sets of hands...a sense of community and sharing what we have with others. The riches shared are from hard work, from the earth—they are our reward for the hard work we've put in. Instead of being from different stations, we're all equal when we join together around the table. I hope you have been enjoying this International Tarot Day blog hop (thanks to Bree from Nym’s Divination for putting this blog hop together)! To see the previous entry, 5 of Pentacles, please visit Gypsy Rose Tarot. To see the next entry, 7 of Pentacles, please visit Spiral Sea Tarot. 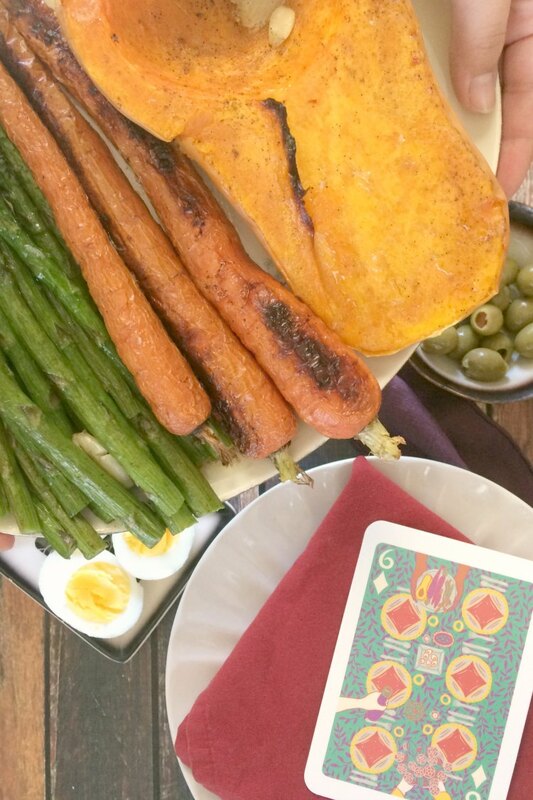 Thank you for reading - and don't forget to enter for your chance to win your very own copy of The Illuminated Tarot below the recipe! 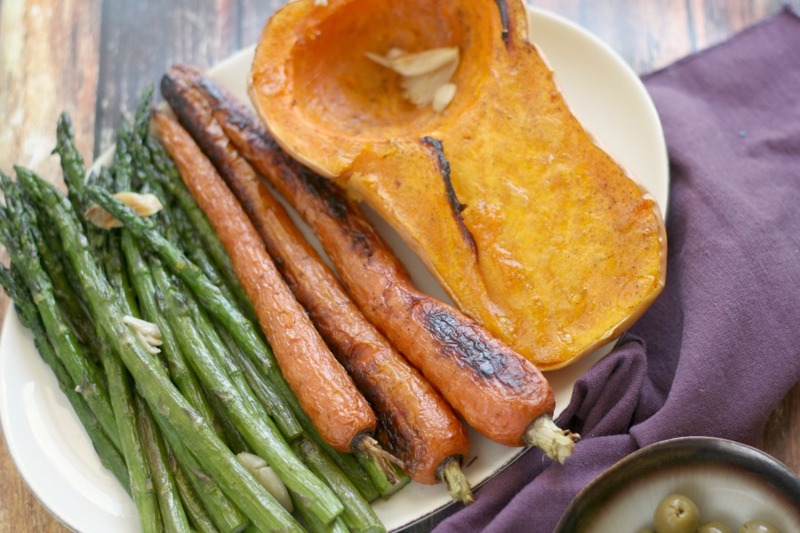 A recipe for simple roasted vegetables that's perfect for sharing (make as little or as much as you like)! Preheat oven to 425° F. Line 2 baking sheets with foil or parchment. Set both seeded halves of the butternut squash and the prepared carrots onto one baking sheet. Line up the asparagus in a single layer on the other baking sheet. If using, add a few smashed garlic cloves to each tray. Drizzle the veggies with a thin stream of olive oil, then sprinkle with salt and pepper. Use your hands to toss everything so it is evenly distributed (rub into both sides of the squash, before turning it skin side down with a bit of olive oil, s&p, and garlic in cavity). Slide both baking sheets into the oven. Roast for 15 minutes, then remove the asparagus tray and transfer them to a serving platter and tent with foil. Close oven and continue roasting for 10 more minutes, then test the carrots with the tip of a thin paring knife. If tender (don't let them get mooshy), remove them from the tray to the serving platter and tent with foil, if not return to oven for a few more minutes (don't let them get mushy). Return squash to oven immediately and roast for another 15 minutes or until just tender when pierced with the tip of a paring knife. Carefully arrange all of the veggies on a serving tray (or two). Share and enjoy! Feel free to add or remove any veggies to this mix as you like, just be sure to adjust and add each type of veggies at the proper time for it's size. Sprinkle with chopped fresh seasonal herbs before serving. Works well served as a main dish with a bunch of condiments (eggs, hard boiled eggs, bread, rice, etc) or as a side dish to fish, poultry, pork, beef - you name it! To enter, leave a comment on this blog post letting me know your thoughts on the 6 of Pentacles (Diamonds in this deck) - or tell me the name of your favorite tarot deck or a deck at the top of your wishlist! More optional entries will open up after you've completed this mandatory one and recorded it in the rafflecopter form (entries will be verified). USA only. Must be 18 to enter. Entries close at 11:59 pm ET on Saturday, July 15, 2017. Winner will be notified via the email address they provided in the rafflecopter form within 48 hours, and must respond within 24 hours to claim their prize (or a new winner will be drawn).